The first day of orthodontic treatment can come as a shock—it takes a while for most people to get used to pressure being applied to their teeth. That’s why ClearCorrect begins with starter aligners, designed to apply gentle pressure before ramping up movement in later steps. We introduced starter aligners a few years ago as part of "Phase Zero." Now we’re expanding that concept into the new Starter Kit, shipping today at the start of every case. and two Chewies to help seat the aligners. Just pass everything on to your patient. If you want more of anything, it'll be available in our online store. We won’t ask you to approve the fit of the starter aligners on ClearComm anymore—we’ll just send the treatment setup as soon as it’s ready, and you'll be free to approve it right away. Your patient should wear the starter aligners just like any other step, and (assuming you approve a treatment setup) Phase 1 will be scheduled to arrive when they're done. If you do find a problem with the fit of the starter aligners, you can handle it like any other phase—request a revision on ClearComm and send in new impressions or scans. We'll now accept revisions right up until the ship date of each phase, so you can request a revision even if Phase 1 has already entered production. The Starter Kit is now included with all new cases at no additional charge. I have a patient that is in the middle of treatment and I noticed that some of the teeth are mobile or feel loose. The patient did not have any periodontal problems before treatment and keeps their teeth clean. Should I stop treatment until the mobility goes away or should I not be concerned about this and continue with aligner treatment? Tooth mobility of ~1mm is relatively common during active tooth movement. The tooth socket is being remodeled to allow for the tooth's movement. During remodeling, it is slightly enlarged. In addition, the periodontal ligament is undergoing tremendous remodeling in phases of resorption and reformation. During this time, it is not as taut and does not function as well, resulting in slight mobility. Also, the supporting bone has a dense cortical border with trabecular bone in between. The significance of the trabecular bone is that it is not homogenous. Rather, its appearance is like "Swiss Cheese" with spaces between the supporting bone scaffolding. As a tooth is moved through bone, it will pass through the bone scaffolding and the spaces. In the latter, there may be more mobility. Having said this, clinicians should be on the lookout for occlusal interferences, periodontal disease, endodontic problems, excessive root shortening and pathology during orthodontic tooth movement. Mobility of greater than 1mm should be further evaluated for any possibility of these other problems. Most commonly, excess mobility is due to occlusal interferences. One of the most common questions we get from doctors is "How do I know which case type to choose?" If you're still not sure where your case falls, it's always safest to err on the side of caution and give yourself a little wiggle room. You can't go wrong choosing Unlimited. You can also consult our case parameters to determine how well-suited your patient is for treatment with clear aligners. Please let us know if you have any feedback or questions. Have a great weekend! Doctors can request one free set of retainers whenever they close a ClearCorrect case. When that set wears out, doctors can order another from ClearCorrect by submitting a new "Retainer" case and choosing their existing patient's name. But are those removeable retainers the best option for everyone? How often should a patient wear retainers, and for how long? We decided to ask our new Chief Technology Officer, James Mah, what his recommended retainer protocol is. In related news, we're thrilled to welcome one of the authors of the previously-referenced trimming study, Dr. James Mah, as our new Chief Technology Officer. He’ll be helping us develop improved treatment protocols, training resources, and all-new products. 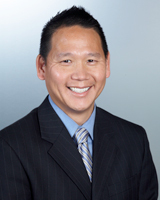 Dr. James Mah is a practicing orthodontist as well as a clinical professor and the program director in Orthodontics at the University of Nevada, Las Vegas. He has pioneered research and developments in 3-D imaging and modeling in orthodontics for the purposes of diagnosis, treatment planning and therapeutics as well as anthropology and forensics. He is involved in the research and development of 3-D facial imaging devices, intra-oral scanners, CAD/CAM applications in dentistry and cone-beam CT scanners. He obtained his Bachelor of Science, Doctorate of Dental Surgery, Master of Science degrees and his Certificate of Specialization in Orthodontics from the University of Alberta, Canada. He then graduated from Harvard Medical School with a Doctorate of Medical Science degree and completed a Post-Doctoral Fellowship in the Department of Orthopaedics at Children’s Hospital, Boston. He was a full-time faculty member in the Department of Orthodontics at Harvard School of Dental Medicine prior to his current positions. Dr. Mah has authored over 100 publications, four textbooks, many book chapters, several patents and has made numerous presentations nationally and internationally. As a recognized expert in 3-D imaging, visualization and modeling, his work has been featured in the Los Angeles Times, The National Post, Tech TV, and other magazines and journals. His research laboratory is funded by grants from the National Institutes of Dental and Craniofacial Research National Science Foundation McAlister Foundation, California Wellness Foundation, the American Association of Orthodontists Foundation, Sun Microsystems, and a number of industry partners. He is also a founder of the Conferences on Orthodontic Advances in Science and Technology and an organizer of the Biological Mechanisms of Tooth Movement conference series. He serves as an editor for the Journal of Clinical Orthodontics and is a reviewer for the American Journal of Orthodontics & Dentofacial Orthopedics, Journal of Clinical Orthodontics, Korean Orthodontic Journal, the International Journal of Oral & Maxillofacial Surgery and Oral Surgery, Oral Medicine, Oral Pathology, Oral Radiology, & Endodontics and Dentomaxillofacial Radiology. As you know, strong retention of aligners on the teeth is key to producing desired tooth movements and tracking of aligners. The difference between the techniques was remarkable. For clear aligners without attachments, the straight cut 2 mm from the margins was about twice as retentive as the scalloped cut. For clear aligners with attachments, the straight cut 2 mm from the margins was over four times as retentive as the scalloped cut! Trimming the aligners differently had more of an impact than adding or removing engagers. Scalloping the aligners right at the margin is the technique employed by “the other guys.” Traditionally, we’ve loosely scalloped our aligners slightly over the gumline. Based on these findings, we’ve decided to start trimming our aligners with a smoother contour and a larger overlap with the margins. This technique should improve the efficiency of the aligners and may reduce the need for engagers in some cases. We expect the new aligners to move teeth more effectively, especially when performing difficult movements like torquing. We also expect our aligners to be more comfortable than before, because there will be less risk of them impinging on the unattached marginal gingiva. The edge of the aligner will be concealed further under patients’ lips during everyday use, so this should also slightly improve the discreetness of the aligners. You won’t see a difference right away, but we expect to start rolling out the change over the next few weeks. As always, we welcome your feedback. *"The effect of gingival-margin design on the retention of thermoformed aligners" by Daniel P. Cowley, James Mah, and Brendan O'Toole in the Journal of Clinical Orthodontics: JCO 11/2012; 46(11):697-702. Illustration used with permission. We announced last week that we now accept intraoral scans from CEREC scanners. As you know, the CEREC software wasn't designed with full-arch orthodontic treatment in mind, so this process hasn't been validated by Sirona yet. The scans we're receiving are working great, but we do want to clarify that Sirona and Patterson Dental cannot provide official support for any issues you encounter specifically related to submitting ClearCorrect cases. The good news is that we are currently in talks with Sirona about adding official support for ClearCorrect submissions in future software updates. If you do run into trouble, please let us know, and we'll be happy to share your feedback. Thanks! A couple of weeks ago, we announced that we were going to start adding a separate line item to invoices to cover our cost for the 2.3% medical device excise tax. A few doctors responded with questions, so we decided to take one more look to make sure we we hadn't missed anything. Our attorneys and accountants dug deep into the murky depths of the federal tax code and returned with some excellent news. Based on the latest guidance from the IRS, as a dental lab manufacturing a Class II medical device, it looks like ClearCorrect is not required to pay the excise tax. We'll refund the line-item fees that we've collected over the last two weeks, and you won't be seeing them on your invoices any more. We're just as happy about this as you are, and we apologize for the mixed messages. This is a brand-new law, and there is a lot of disagreement even between experts over exactly how to apply it. Open the CEREC Connect application on your scanner. (You can download CEREC Connect here if it's not already installed.) Make sure you're using CEREC Connect, not the regular CEREC software for in-office milling! Click "Add New Patient". Enter your patient's full name and date of birth, along with the treating doctor's name. You can leave the patient's ID number blank. Click "Add New Case". Unfortunately, the CEREC system wasn't designed with clear aligners in mind, so you'll have to make a few random selections just to get through the Administration phase. You can select any tooth, any indication, any type, any material, and any shade. We won't use any of this information—you just have to select something to get through the process. It's not elegant, but it works for now. Once you get through this process for one tooth, click the double arrows (>>) at the bottom of the screen to advance to the Acquisition phase. Scan the teeth. Make sure you capture at least 2-3 mm of clear gingival area, without distortion or gaps. The cleaner and more accurate you can make the scan, the better the aligners will turn out. Once you've got nice scans of both arches and a buccal bite, click >> to advance to the Model phase. The scanner will probably spend a couple of minutes generating virtual models. Articulate the models. Feel free to get rid of any unwanted artifacts, but other than that, don't worry about trimming or drawing margins—all we need are properly-articulated models of the teeth. Once you finish the buccal bite registration, click >> to advance to the Connect phase. Log in to the Connect Portal. If this is your first time logging in, click Register to open sirona-connect.com in a new browser window. After you register, you'll receive an email from Sirona with a link you need to click to verify your account. Once your account is all set up, return to CEREC Connect to log in with your username and password and click OK. As soon as you log in, your order should start uploading in the background. Set ClearCorrect as your laboratory. Click "Enter Order Data". If you don't see ClearCorrect listed as one of your favorite labs, click "Edit Your Favorite Laboratories". (You might have already set this up during registration.) The laboratory selection page will open in a browser window. In the Company Name field, type in "ClearCorrect" (remember, there's no space in our name) and click Find. We'll be listed under the map. Check the box next to ClearCorrect and click "Add", then return to CEREC Connect and select our lab icon there. You'll be asked to choose a return date—this has no effect on your case, so choose any date you like. Add additional information. On the next page, you'll be asked to select the gender of the patient and add any notes. Don't rely on this section to tell us important information about the case—you'll add your actual instructions on ClearComm. If you like, you can use this area to enter the treating doctor's name (and a case number, if you already have one). Submit the intraoral scans to ClearCorrect. Click "Add to Cart," then "Submit Cart." You'll be asked to verify your username & password, then click OK. Submit your case on ClearComm. This is important—sending us scans through CEREC Connect is just one step in the process. You'll also need to submit a new case through ClearComm. (Otherwise, we won't have a prescription, a case type, photos, or a lab fee!) When you get to "Impressions or scans," select "CEREC scan." It'll work best if you submit both the case and the scans on the same day. Please feel free to share your tips and feedback with us, and check with your distributor or ask Sirona if you need help with your scanner.